I just looked out the window, and it's not completely dark yet. The sun is below the horizon but there's still an orange glow. The time is twenty past eleven in the evening. It hasn't snowed for a few days. On Friday I'll be finished with all my final assessments for university. Summer is most certainly on its way! 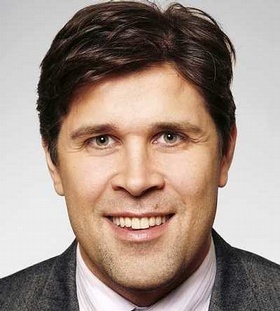 Iceland has a new government. Unfortunately it will probably be headed by the lizard queen himself. The voting was on Saturday but since Iceland has proportional representation, I suppose they're taking a few days to work out the coalition. Sjálfstæðisflokkurinn got most of the votes though, and then Framsókn. The left took a massive beating in this election. In good news, though, the Pirates got three þingmenn! It seems having experienced an election using this voting system, I now understand proportional representation. It's definitely cool that your vote actually counts so much more under this system. My friends can vote for the Pirate Party, a party that ended up with around 5% of the vote, and they didn't throw those votes away, they're actually represented in the new government. It would be a miracle if that happened in the UK, the voting system just doesn't allow for it. The only trouble then is that you've got a coalition government, which is generally less efficient than a majority government for obvious reasons. But overall I think I'm coming round to the idea of proportional representation. I'm not sure whether it would work in Britain - it would radically change the political landscape, that's for sure. The Liberal Democrats and the Green Party would be a much stronger presence. Unfortunately it would also offer the best chance for less desirable fringe parties to get people into parliament (BNP, UKIP). It's tricky. Edit: Apparently the new Prime Minister will actually be Sigmundur Davíð Gunnlaugsson, leader of Framsókn and not Bjarni Benediktsson. I am not sure how they worked this out, since it seems like both parties will have the same number of seats in the Alþingi. April is here and I think winter is well on the way out. It did snow just a little yesterday, but we've had some very warm and pleasant days recently also. I am busy working on various final projects at university, doing a little paid translation as well, and following the run-up to the elections here. Some of my friends and acquaintances are actually on the lists this election, for the Icelandic Pirate Party, which was doing rather well but has been having a little PR trouble recently. I don't really follow Icelandic politics too closely, but elections are always exciting even if you can't vote in them. So I've been getting to know the different parties a little. So far I have ascertained that Bjarni Ben is probably some sort of space lizard, and I will certainly never be voting for Sjálfstæðisflokkurinn if I ever become an actual Icelandic citizen. I don't know who I would vote for if I did have a vote for this one, probably the Pirates or Vinstri Grænir... but I haven't actually done the research. Luckily I don't have to worry too much about it; as a disenfranchised útlendingur I am no more than an observer with no moral duty to make an informed decision. Photo face at the bottom. This morning, noting with relief that yesterday's insane blizzard had entirely abated, not even leaving that much snow on the ground, I checked vedur.is. Oh, thank god it's warmed up again, I thought. It's 2°. I can remember a time when I thought that 4° was intolerably cold. Although I suppose everything's relative. When you've spent the past three days at -6°, battling through an icy wind that gets through all your clothes and makes it feel more like -12°, and you opened the curtains yesterday, but it didn't work because they were completely coated in ice and snow, I think it's understandable if 2° and not much wind is starting to look pretty cosy. Go away, winter! 1. It costs practically nothing to go to university in Iceland, whereas in Britain it costs an awful lot. In Britain you will definitely finish in debt, whereas in Iceland you can pretty much pay for your studies yourself with a part-time job. 2. Anybody can go to university in Iceland. If you managed to finish menntaskóli, apply and you pay the 60,000 kr., you've basically got a place. No UCAS forms, interviews, conditional offers... Much more egalitarian. Then once you're in university, you can try out a few courses, switch departments, whatever - it's incredibly relaxed. 3. To a certain extent, however, you get what you pay for. Basically all UK universities, to my knowledge, offer their students access to online academic publications. J-Stor or whatever, you can log on via your university and read thousands of journals and articles. Here at HÍ... nope. You have free access to any thesis written by a past HÍ student, but no J-Stor. You actually have to pay for access yourself or see if it's there in paper form in the library (probably not). 4. Here, essay or project length is measured in pages, which is clearly ridiculous. Sometimes formatting instructions are part of the requirements, but sometimes not. Which obviously means that you have a fair amount of leeway with regards to length. In Britain, essay-length is quite rightly measured in words. Because, obviously. 5. The grading system can take some getting used to. To me, coming from a UK humanities department, 70 is excellent, 80 is ridiculously good, anything above that is pretty much impossible. Here, 7 (they do it out of 10 rather than 100) is quite good, 9 is excellent, 10 is ridiculously good but very much possible. This is bizarre to me. How can any work done in the humanities be "perfect"? Maybe it is a little silly to have grades that are never used and exist only as a sort of artificial space to remind you that perfection is unattainable. 6. Hardly any seminars. At Sheffield our contact hours were 50% lectures, 50% seminars, in which you would discuss what you had learned in the lecture, plus additional reading. I took some modules that were only seminars, never any modules that were only lectures. Here a lot of modules are only lectures. Which doesn't seem like a very good approach, to be honest. You don't learn so much just by sitting there listening to a lecture as you do by actually engaging yourself in an discussion of the topic. Mind you, lectures are certainly a lot easier, and I am quite lazy, so swings and roundabouts. P.S. It's worth noting that there are universities in Iceland that charge tuition fees (Háskóli í Reykjavík does). Apparently they have fancier technical equipment and are more rigorous. Maybe students there even get online journal access. Happy Bun Day everyone! I may not agree with eating salted lamb and split pea soup on Shrove Tuesday rather than pancakes with lemon and sugar, but Bolludagur is clearly an excellent idea. I don't think we do anything in the UK on this day, but here in Iceland everybody stuffs themselves with cream buns in honour of... Jesus? It doesn't matter, cream buns are good. I bought two from Melabúðin and I am feeling pretty full right now. Put the split peas in a pot with the water, thyme and onion and bring to the boil. Allow to simmer with the lid on for 45 minutes. Then add one or two chunks of lamb; boil the rest separately in another pot. Allow to boil for a further half hour. Check the peas every now and again, stir them and see if they need more water. Add the vegetables and boil for another 20-30 minutes, or until everything is tender. Taste and, if required, season with salt and pepper. It is also possible to boil all of the lamb separately, but then the peas will need salting, or boil it all in the main soup pot, but then the soup can be too salty. Or all the lamb may be boiled separately and a little bacon or salted pork used to flavour the soup instead. Clearly this will not be as good as pancakes, but you can always have them for pudding, and I've had this meal before and it is delicious. Maybe you could also use ordinary lamb and just salt the soup yourself? I'm not sure. I am pleased to announce that I will, in a few weeks, be making the move from 107, the second coolest post code in Iceland, to 105, the third coolest. This following my heady beginnings in 101, it is looking like I am gradually becoming less cool. I'll be moving to Kópavogur before you know it. Haha jokes, obviously I am never moving to Kópavogur. There seems to be some sort of chemical reaction that takes place in people when they either have children or reach a certain age here - suddenly, they are filled with a burning desire to move to Kópavogur or Garðabær. This is obviously a terrible idea, because the suburbs are lame and really far away from all the good stuff in the town. But 105 I can reconcile myself with. For those of you unfamiliar with the geography of Reykjavík, 107 is what is known as Vesturbær, because it is to the west of 101. 105 is also right next to 101, but on the east side (Austurbær). It is actually about the same distance to downtown as it is from here, although significantly further from the university which is currently right on my doorstep. I thought maybe when I moved into this flat that this would be the time I would stay somewhere for more than a year, but circumstances have changed, yet again. This time I am not moving under compulsion but because I want to go and move in with Grétar in his new place on Skipholt. This is a not-so-beautiful area of Reykjavík, but do I get to live with Grétar and he is pretty good. The plan is to move at the beginning of March (and indeed my room has already been rented out from then), so I will have been in the Grenimelur flat for eleven and a half months - almost made it! This time for sure, guys. Yesterday I attended the sixth annual Australia Day beach barbecue, organised by my friend Kalli. This is the second year I've been, and the weather was much better than last year. Hardly any wind (it's pretty sheltered down there on the beach in any case) and no rain until right when we were leaving. Of course this is still January in Iceland, so it was freezing cold. I got there at around 3 pm and stayed drinking Kalli's excellent homebrew and eating pylsur and lamingtons until the tide came in and removed the beach. Then we all piled into someone's enormous van and went downtown for some (warm) indoor drinking. I was very glad to get inside. A great afternoon, though. Me with Mr, Mrs and baby Australian Snowman. Sadly they were later murdered by the incoming tide. Ewelina takes an inflatable kangaroo for a walk on the beach. A while ago I wrote a bit about the importance of learning Icelandic in Iceland, and some of my experiences in that area. Now I'm going to write a little about the importance of one's mother tongue, especially if you want to be a translator. This was triggered by my encountering someone (naming no names and linking no links) who had written the most astonishingly arrogant and so obviously affected thing about their language learning experience that I have ever heard. 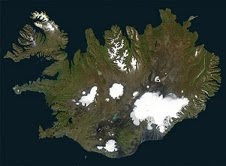 This was that they not only tried to avoid speaking English with Icelanders (surely a good idea) but that they had somehow forged such close links with the Icelandic language, that they could no longer process English when spoken to them by a fellow native English speaker who also spoke Icelandic. Even my ill-fated plan to give up English for Lent back in 2011 did not entail a blanket ban, but only speaking English to Icelanders. Two people, both learning Icelandic, but both having English as a mother tongue, might choose to chat a little in Icelandic for the sake of practice, but to entirely avoid communication in the language that both of you understand and speak best? That is mental. Of course, I don't actually believe this person for one second. That is, I believe they stringently avoid using English. However, any pretence of not processing English directed towards them or of no longer being able to produce instantaneous, fluent English is clearly feigned. So that is nonsense, we're all agreed, yes? But what would be the motivation for making such a claim, for the apparent shame associated with speaking one's mother tongue rather than Icelandic, as an immigrant in Iceland? It can only be an over-extension of the idea that immigrants who speak Icelandic are accorded more value/respect than those who do not, and that immigrants have a certain responsibility to integrate by learning the language. If you take this to extremes I suppose it could end in a desire to reject one's own "foreign" identity entirely. You could decide that you didn't want to be an integrated foreigner and that you'd actually rather not be a foreigner at all. I think that's a little sad. I don't want to stop being English just because I don't live in England. Not that I actually have a choice in the matter. Even if I wanted it really, really hard and I tried to forget my English and speak only Icelandic and just be an Icelander, it wouldn't work. I moved here far too late in my life to actually become an Icelander. This all reminded me of something which was pointed out in one of my translation lectures - that the Icelandic students must take pains to always keep reading in Icelandic, and that those of us who are foreign (actually I think it's just me in that module...) must do the same in our languages. The final product of the translation process is not in the 'foreign language', but in the translator's mother tongue. Of course. So it logically follows that, although a good understanding of the source language is important, what is paramount is the ability to express ideas fluently in your native language. If you spend too little time using your own language, it's going to get rusty. Not to the extent that you stop being able to speak it, as I think we've established, but it could well lead to poor phrasing, a harder time finding the right word, a narrower range of words used, etc. Also, if you're not reading new material in your native language, your native vocabulary is going nowhere; you're not going to be learning any new words, and you can keep learning words your whole life long if you care to. Considering the amount of English I use in my life, reading, writing and speaking, this is extremely unlikely to happen to me. If anything I should probably be using a little less English and a little more Icelandic. But still, I reminded myself the other day that I must not stop reading literature in English. It's probably more important at this stage that I keep reading a lot in Icelandic, but it would definitely be good to throw in the occasional novel in English. Maybe a trip to the library is in order. Whether you're a translator or not, though, I don't understand how you could reject (or pretend to reject) your mother tongue like that. I love the English language, I love it far more than Icelandic. It's a part of me and I understand it infinitely better, with all its subtleties and nuances. How could anyone with the passion to learn another language not have the same level of passion for their own tongue? Hey team. I've been back in Iceland for a few days now, since Saturday afternoon. It snowed the day before I got back, and it's still on the ground although we haven't had any more since. Some of it has been compressed and frozen and there are some extremely slippery patches about. We need either a fresh layer or some rain to wash the ice away. It's good to be back, although the flat is somewhat in turmoil at the moment what with Ahmad moving out and the new tenant (plus cat) moving in and an American friend of ours from last year plus his boyfriend staying over New Year. I haven't actually stayed here these last few nights, been round Grétar's or in Selfoss, but I came home yesterday to give things a bit of a clean and tidy up. It's a bit better now, but there is still stuff everywhere that has yet to be sorted into the right rooms / places. Plus we have all sorts of money transfers and calculations to sort out incurred by the swapping of one tenant for another. Jæja, þetta reddast. Happy New Year and so forth. I think 2012 was a good year for me, all told, and here's hoping that things will continue in a satisfactory fashion throughout 2013. Yesterday evening we went to Selfoss. Apparently the weather was awful on the heath coming over, drifting snow severely reducing visibility, but I was of course asleep so I didn't notice. It was a good evening with Grétar and his family - another roast turkey with all the trimmings (albeit different trimmings, sweet potato mash instead of roast potatoes and salad instead of sprouts). We watched some of Lord of the Rings, which is always fantastic, and the Áramótaskaup as we ate the chocolate cake Grétar made for pudding, which was not so good. The programme, I mean - the cake was great. Then we went outside for the actual stroke of midnight to watch the fireworks. Grétar's parents had a few, including some sparklers, but there were so many all around that all in all it was quite a display. It must be absolutely incredible in Reykjavík. Back inside for champagne and board games until I fell asleep on Grétar's shoulder at about 2.30 am. I am not the best at staying up late. My first New Year's Eve outside of the UK, and it was a pretty good evening, not so very different from what I'm used to, except more fireworks and a bit less drinking. And Christmas meat. The spring term starts next week, and then life resumes as normal. Hope you're all enjoying 2013 so far!